Providing you the best range of ptfe ball with effective & timely delivery. We are dedicatedly engaged in offering a commendable range of PTFE Ball which has the lowest coefficient of friction of any solid. The offered ball is designed under the guidance of our proficient professionals using the best quality polytetrafluoroethylene and innovative technology. 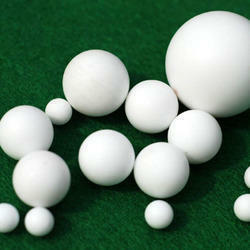 Looking for PTFE Ball ?